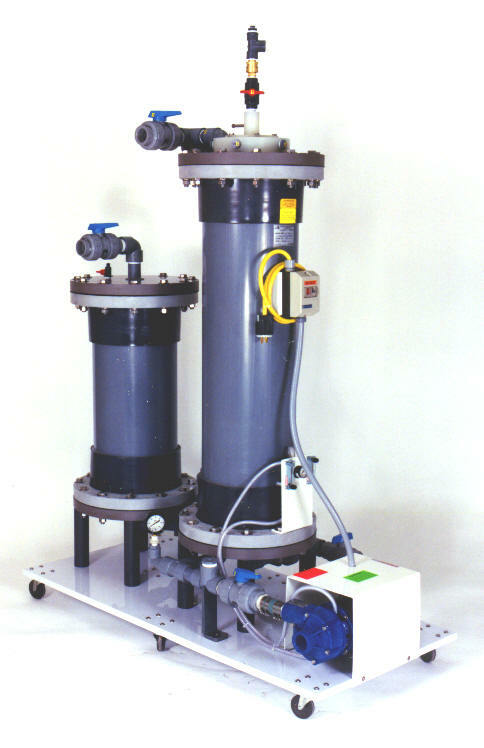 GLOBAL FILTRATION SYSTEMS pioneered the self-cleaning filtration market in the United States. These rugged systems resist the effects of corrosive chemicals and other hostile fluids. Today our filtration line is one of the industries broadest in terms of filter types, styles and sizes. AUTOMATION Standard automation packages are available for all systems, as well as custom design and development services. SYSTEM CONTROL System Control Packages to provide remote monitoring and control features. DISPOSABLE FILTERS Global Filtration provides a wide variety of state of the art replacement-style filtration systems and supplies. CARBON TREATMENT Highly efficient carbon treatment systems for industrial, commercial and residential applications. WATER & CHEMICAL TREATMENT Reverse Osmosis, UV, Ozone, Water Softeners, Dionizers, Dealkalizers, Ion Exchange Resin, Potable water systems. APPLICATION CONTROL DOCUMENT (Opens in new window) Print this out and fax it to Global Filtration Systems at 1-603-323-7007 for a detailed quote for your application.